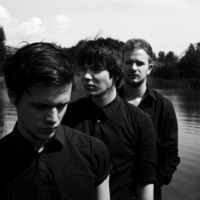 White Lies is an English indie rock band from Ealing, London. Formerly known as Fear of Flying, the band consists primarily of Harry McVeigh (lead vocals, guitar), Charles Cave (bass guitar and backing vocals), and Jack Lawrence-Brown (drums). The band perform live as a five-piece, complemented by sidemen Tommy Bowen and Rob Lee.